Alabama Gov. John Patterson, left, poses with former Pres. 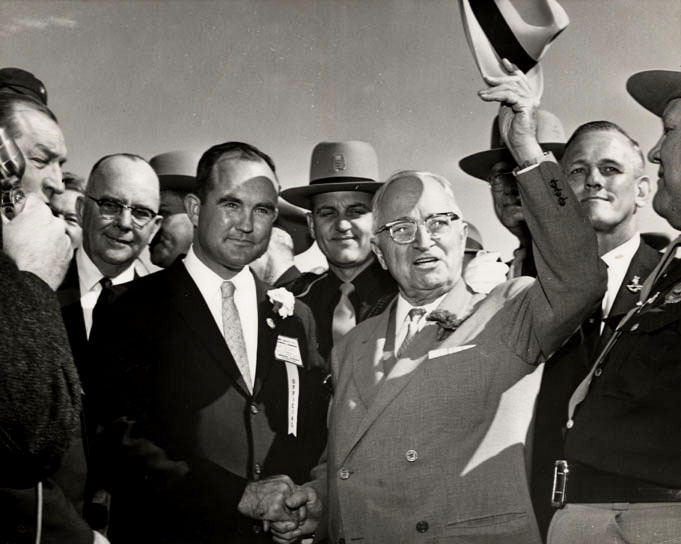 Harry Truman during a Kennedy-Johnson presidential campaign event in 1960.